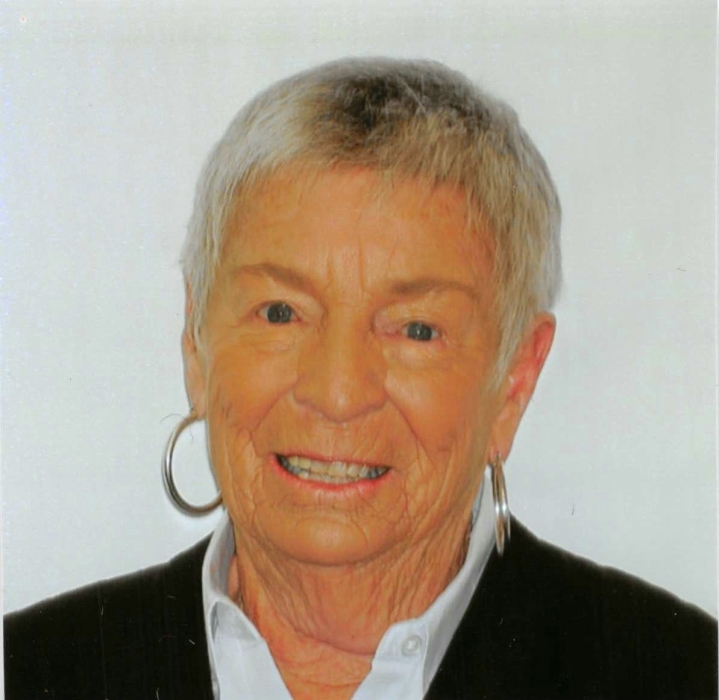 Beverly “Bevie” Hanson, Prairie Village, passed away on October 5, 2018. She was born on April 25, 1931, in Hollywood, CA, to Alice and Carl Siemon. Her father was in the Army so she moved often in her childhood before her family settled in Leavenworth, KS. She graduated from Biloxi High School and attended the University of Kansas. Mom was a member of the Delta Gamma sorority and cherished those friendships all her life. She married Robert A. Hanson in 1951, and they settled in Kansas City to raise their three children. Bevie and Bob had many close college friends who remained lifelong friends. They shared a love of KU, Colorado, annual lake trips, and traveling, always by car. Bob, sadly, passed away in 1992, and Mom spent the rest of her life enjoying family, friends, bridge, and travel. She lived at Kenilworth Apartments for many years where her open patio gate and her dog, Sami, were well known. Her move to Mission Chateau was a happy one and an opportunity to meet new friends, something she loved to do. We want to thank everyone there and at KC Hospice House for their loving care. We love you, Mom...son, Mike and Christie Hanson, their daughters, Angie Hanson and Allie Ratner (Josh); daughter, Kathy and Mark Adams, their sons, Chris Adams (Melissa Duan), Spencer Adams (Iuliia), and BJ Adams (Katie); daughter-in-law, Mishthi Hanson, and her son, Dylan Hanson. NeeNee was also a proud great-grandmother of Owen, Emery, Henry, Leo and Mila. She was preceded in death by her husband, Robert A. Hanson, and her son, Craig A. Hanson. Services will be private. In lieu of flowers, contributions to KC Hospice, 1500 Meadow Lake Pkwy Ste 200, KCMO 64114 or Rolling Hills Presbyterian Church, 9300 Nall Avenue, Overland Park, KS 66207 would be very welcome.